The Supreme Court has acquitted a man accused of murder, by setting aside his concurrent conviction by the trial court and Madras High Court. A Division Bench of Supreme Court comprising Justice V. Gopala Gowda and Justice U.U. Lalit took the decision. Five persons - Madhavan, Saravanan, Manohar, Etti alias Ebinesar and Sivakumar - were tried in the sessions court and were convicted for having committed the offence punishable under Sections 147, 148, 302 read with 149 and 506(ii) of IPC. The trial court mainly relied upon the testimony of father of the deceased as the other witnesses did not support the prosecution case. On an appeal by the accused, the high court confirmed conviction and sentence of four accused, and acquitted Sivakumar. Ebinesar preferred an appeal before the apex court. 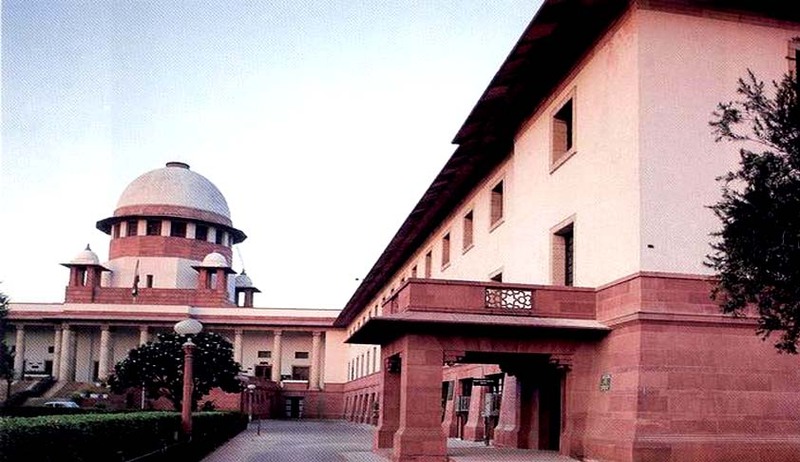 The apex court Bench observed that, at no stage, the narration referred to the presence of PW-2 (the father of the deceased) or the fact that the PW-2 had arrived at the scene of occurrence at any stage. In his cross- examination, he did not state as to what he did soon after the incident. It appears inconsistent and incongruent for a father not to have taken any step either to ward off the assailants or to approach anyone for help or even to see that the son was given immediate medical attention, the Bench observed. It then acquitted the accused, observing that case of the prosecution has not been proved as against the accused beyond reasonable doubt.